The CX880i is a new model from Sennheiser that includes an i-thing remote control in the lead and a microphone too, so you can make and receive phone calls via your mobile hi-fi . The earpieces quote an unusually wide frequency range, right down to 17Hz – we've no reason to question that, though every time we look at a headphone frequency response specification we are reminded how far ahead of most loudspeakers even quite modest headphones are in that particular respect. We do find it a little bizarre that Sennheiser seems to have omitted to mark the earpieces for left and right ear, but otherwise we've no complaints. Three sizes of earbud are provided and the fairly generous cable is one of the least noisy in terms of friction noise. 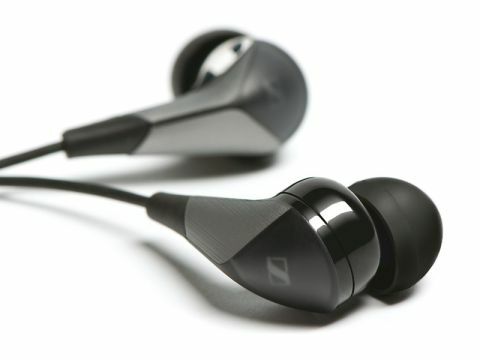 Having identified the best earbud, we settled down to enjoy some of the best in-ear sounds we've heard in a while. Balance is excellent from the upper bass up: there is a little deep bass enhancement, it seems to us, but not enough to be really distracting. Treble sounds quite mellow compared with most in-ear models, but that's a good thing as the breed is justly renowned for brightness. Perhaps because of that mellowness, detail can seem a little underwhelming at first, but in the longer term, it is very good indeed; natural and unforced but really delightfully lifelike. Add to that the natural musicality of these 'phones and their success is assured.